The following article is the editorial for the upcoming edition of ML Update. It is posted at Links International Journal of Socialist Renewal with permission. May 7, 2011 -- The US has proclaimed its success in its decade-long hunt for Osama bin Laden, culminating in the killing of bin Laden by US military operatives in a house in Abbotabad in Pakistan. As the televised triumphalism and images of hyper-nationalist celebrations in the US fade, however, Washington's heroic narrative is being subjected to uncomfortable questions. 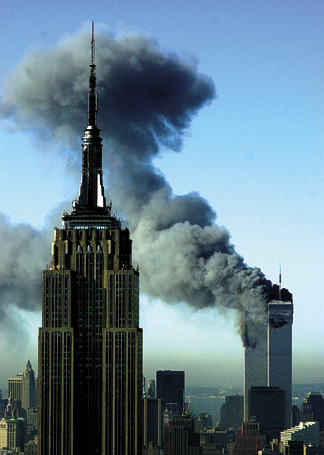 Ironically, Osama bin Laden’s death has come, not in the wake of 9/11 when he was at the peak of his strength, but at a time when bin Laden and his al Qaeda were effectively sidelined in an Arab world that is witnessing a democratic awakening and upsurge. This fact too robs the US narrative of some of its sheen. Pakistan: Will Osama bin Laden's assassination end religious fundamentalist attacks? May 7, 2011 -- Links International Journal of Socialist Renewal -- In the first four days after Osama Bin Laden’s assassination by US forces, the mass reaction in Pakistan is very mixed. In Punjab there is a general sympathy towards bin Laden, however not many are expressing it openly. In Sindh, the responses differ in different cities. For example, in Karachi there is more active commiseration for bin Laden and condemnation of the US attack. Surprisingly, not much happened in Khaiber Pakhtoonkhawa, where bin Laden was killed. Similarly, Baluchistan responded meekly against the killings. However the reaction against the attack on the compound in Abbotabad is growing and it will spread to other areas. Many religious fundamentalists fled Afghanistan and took refuge in Baluchistan and Khaiber Pakhtoonkhawa. They ruled those provinces from 2002 to 2008. Lecture 1: Islam and its discontents, March 17, 2011. Lectures 2 & 3, below. A series of three lectures by Tariq Ali. Renowned Marxist and anti-war campaigner Tariq Ali presented these three lectures as part of the University of Auckland's annual Sir Douglas Robb Lectures, delivered March 17-23, 2011. The videos have been made available to Links International Journal of Socialist Renewal courtesy of the University of Auckland library. March 29, 2011 -- ABC Radio's Big Ideas -- In 2008, Obama could do no wrong. To the educated middle class, he was an intelligent and reflective writer who had penned his own insightful memoir. To the conservative elite, he was a Harvard graduate and expert in constitutional law. To the young people who came out in droves to vote for him, he liked the same TV shows, listened to the same music and "got" social networking. 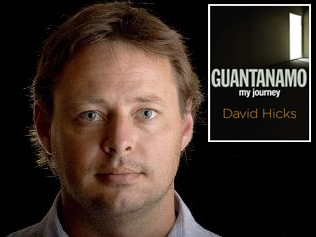 February 25, 2011 -- Links International Journal of Socialist Renewal -- Everyone who is curious about David Hicks and his imprisonment at the US concentration camp at Guantanamo Bay in Cuba for six years, should read this book. It is an honest account of Hicks’ life as a youngster and his torture at the hands of the US army. Contrary to what many of the mainstream reviews of Guantanamo: My Journey assert, Hicks goes into a lot of detail about why and how he first ended up in Pakistan, and then Afghanistan. He explains, in detail, the circumstances of how he became trapped in Afghanistan and his attempts to get back his Australian passport to be able to return home to Adelaide. Hicks was like so many teenagers looking for adventure. He was also a confused young man, coming from a broken home when he was just nine years old and finding it difficult to find his place in his second family with his stepmother and stepbrothers. Heavily armed police patrolled Khartoum's main streets on January 30, as demonstrations broke out throughout the city demanding the government resign. Above: young woman protester in Egypt. "The protests have been led by educated young people frustrated by poverty and lack of political freedom." January 30, 2011 -- Green Left Weekly -- Having started with a fearless uprising for democracy and economic justice that is sweeping the Arab world, 2011 is shaping up to be a decisive year for the Middle East. By January 14, the first dictator had already been overthrown: Zine El Abidine Ben Ali of Tunisia. Egypt's Hosni Mubarak looks set to follow. 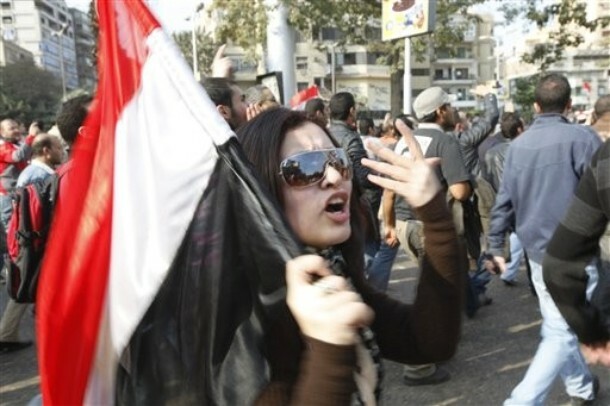 Protests inspired by the Tunisian revolution have occurred in several Arab countries, repeatedly in Yemen and Jordan. On January 28, the Middle East’s most populous country, Egypt, was rocked by riots after police tried brutally, but unsuccessfully, to end four days of protest against the 30-year-old dictatorship of Hosni Mubarak. 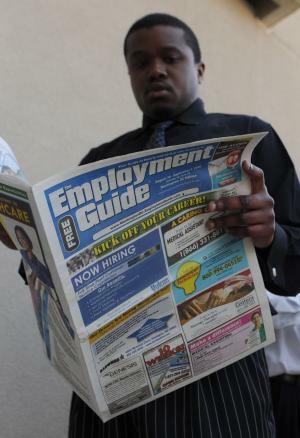 "What a distance from the White House to the unemployment line. From the Rose Garden to the food pantry." January 25, 2011 -- Links International Journal of Socialist Renewal -- The 2011 State of the Union speech revealed just how far out of touch US President Barack Obama is from the reality of working people in the United States. What a distance from the White House to the unemployment line. From the Rose Garden to the food pantry. Tonight’s State of the Union sent the message one final time that the Obama presidency was and is designed to protect the privileges accrued by the richest 5% in society. Obama lived up to the characterisation of him as a “hedge-fund Democrat”, a politician assigned the task of deflecting the real demands of the people for a society and economy based on solidarity, peace and justice. Socialist Unity, January 17, 2011 -- Picture sent by Twitter from Al Jazeera journalist Ayman Mohyeldin. Protesters hold up signs outside a trade union office saying “Protests must continue”, rejecting the fake “national unity” government. December 15, 2010 -- Salon -- Bradley Manning, the 22-year-old US Army private accused of leaking classified documents to WikiLeaks, has never been convicted of that crime, nor of any other crime. Despite that, he has been detained at the US Marine brig in Quantico, Virginia for five months -- and for two months before that in a military jail in Kuwait -- under conditions that constitute cruel and inhumane treatment and, by the standards of many nations, even torture. Interviews with several people directly familiar with the conditions of Manning's detention, ultimately including a Quantico brig official (Lt. Brian Villiard), who confirmed much of what they conveyed, establishes that the accused leaker is subject to detention conditions likely to create long-term psychological injuries. Defend Wikileaks and Julian Assange! Australia should break the military alliance with US! December 7, 2010 -- "The Australian government should defend and support Wikileaks and its founder Julian Assange and their efforts to expose the lies, duplicities and outright crimes of the US government and its allies", said Peter Boyle, national convener of the Socialist Alliance on December 7. "We condemn the Australian government for collaborating with the US government in hunting Julian Assange down. The exposure of classified US government cables and other material by Wikileaks is an enormous plus for all those who are fighting for truth and democracy, and against war and exploitation. Wikileaks and Assange deserve our strongest support. December 2, 2010 -- PolEconAnalysis -- There is a growing chorus of voices in the media and the academy singling out the actions of the Chinese state as central to the dilemmas of the world economy. This focus finds its most articulate presentations, not in the xenophobia of the right, but in the polite analysis of many left-liberals. Paul Krugman, for instance, writing in the run-up to November’s G20 summit in South Korea, praised the United States’ approach of creating money out of nothing (“quantitative easing”) as being helpful to the world economy, and criticised the Chinese state’s attempts to keep its currency weak as being harmful. “The policies of these two nations are not at all equivalent”, he argues, adding his influential voice to the chorus which is increasingly targeting China for the world’s woes. Krugman’s, however, is a simplistic analysis which overlooks the role of the US over decades in creating huge imbalances in the world economy, and has the dangerous effect of scapegoating one of the poorest nations of the world (China) for the problems created by the world’s richest. Sign the petition:"Truth is a crime in an empire of lies: Defend Wikileaks". December 4, 2010 – Links International Journal of Socialist Renewal – Running an empire produces many nasty habits, habits that lead you to treat people, nations, assets and the environment as objects upon which to project your own power. The US government runs such an empire. As a result, innocent people die, the environment is ravaged and funds that could have been used to meet human needs have been fed into an insatiable military industrial complex. This has long been known by the socialist left and now, with the release and publication of secret US diplomatic messages, Wikileaks has made it visible to the entire world. More than 50 people listened to Afghan democracy activist, Malalai Joya (pictured second from left) call on the Australian government to withdraw its troops at a November 12 anti-war vigil in Melbourne. The protest included a spontaneous "die-in" and was also addressed by Chip Henriss from Stand Fast and Dr Richard Tanter at the RMIT Nautilus Institute. Photo: Chip Henriss. Sunday, November 14, 2010 -- Green Left Weekly -- Malalai Joya is an Afghan feminist and anti-war activist who opposes the US-led occupation of her country. An opponent of both the Islamic fundamentalist Taliban and the equally fundamentalist and corrupt warlords in the US-backed regime of President Hamid Karzai, Joya was the youngest member elected to Afghan parliament in 2005. She was suspended after she said the parliament was full of warlords. Joya is touring Australia. Malalai Joya visits a girls' school in Farah province in Afghanistan. Photo: AfghanKabul. October 10, 2010 -- rabble.ca -- In the United States, many looked to the ballot box and hoped for real change when Barack Obama was elected president in 2008. To be honest, I never expected that he would be any different for Afghanistan than President George W. Bush. The truth is that Obama's war policies have turned out to be even more of a nightmare than most people expected. Obama talked a lot about hope and change, but for Afghanistan the only change has been for the worse. After almost two years of Obama, the number of US troops occupying Afghanistan has more than doubled. And the number of drone attacks in Pakistan has increased. Obama's so-called surge of troops has resulted in increased Afghan civilian deaths. Sydney protest rally to mark the ninth anniversary of the US-led invasion of Afghanistan, held on October 8, 2010. Organised by Sydney Stop The War Coalition. Photos by Peter Boyle. October 8, 2010 -- On October 17, 2001 the Australian government deployed troops to Afghanistan, just nine days after the US had begun bombing one of the most poverty-stricken and war-weary countries on Earth. October 1, 2010 -- The Socialist Alliance (Australia) reaches out in comradely solidarity to the socialist and anti-war activists in the US who were subjected to early-morning raids on their homes and offices by the Federal Bureau of Investigations (FBI) in Minneapolis, Chicago, Michigan and North Carolina on September 24. We understand that the FBI seized computers, passports, books, documents, cell phones, photos, financial records, diaries, maps and other materials using warrants were issued under a 1996 statute which made it a crime for US citizens to provide “material assistance” to any organisation designated by the government as “terrorist". We condemn these raids and demand that the property seized be immediately returned and the victims of the raids be fully compensated. We also call for the revocation of the anti-democratic grand jury subpoenas against some of the raided activists. We will also approach other organisations and activists to discuss and plan solidarity with the activists now being victimised under US "terrorism" laws. I'd like to begin with a juxtaposition of two events — one which took place relatively recently and the other a long time before. 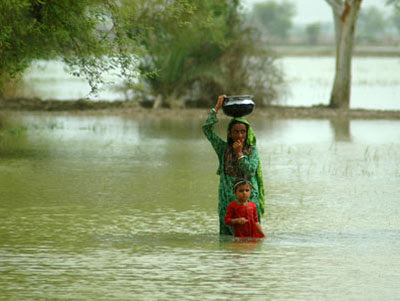 August 20, 2010 -- The recent floods represent the worst disaster in Pakistan’s history. The country has been devastated from the northern areas to its southern tip. The state, stripped of its capacity to meet peoples’ needs by neoliberalism and militarism alike, has been found wanting—both in its longstanding failure to maintain existing infrastructure, and in its response to the calamity. The grassroots relief efforts that have emerged across the country are heartening, but a crisis of this magnitude can only be handled by an institution with the resources and reach of the federal government. As in all disasters, the assistance of the military will be necessary—but this must be subject to civilian oversight, and must not be exploited to glorify the army at the expense of the government. The military’s relative strength is a direct legacy of pro-amy federal budgets, and we remember too well the failures of the Musharraf government in 2005.